This coveted award always brings out the most outstanding talent. It never fails to astound and excite me. 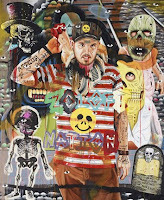 Here is the work of all the finalists in this year's top Australian portrait prize - The Archibald Prize 2009. 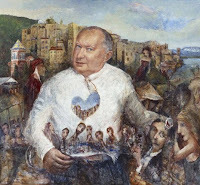 All Images courtesy of Art Gallery NSW. Click thumbnails for larger version. 1. Brandon by Vincent Fantauzzo. 2. Self-portrait in the bathroom discussing beauty, Bukowski and Brett Whiteley with my ex, now a stripper, who likes to dress as Wonder Woman by Anthony Bennet. 3. Lucy and friend by Ann Cape. 4. Spirit of an ancient culture by Adam Chang. 5. Portrait of a bad muthaf***a by Mike Chavez. 6. Ray Hughes and five other moods by Jun Chen. 7. Good Morning, this is Neil Mitchell by Zhansui Kordelya Chi. 8. John Safran by Yvette Coppersmith. 9. Gyton by Sam Cranstoun. 10. Considering Persephone. 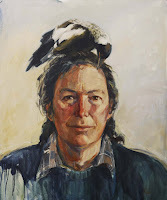 Portrait of Gay Bilson by Leeanne Crisp. 11. 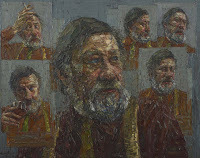 Ken Done by Ngaire Joan Devenport. 12. 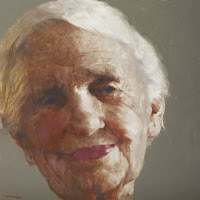 Dame Elisabeth Murdoch by Hong Fu. 13. 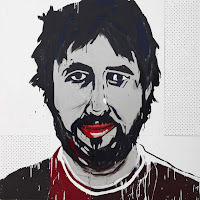 Zoloft nation (self-portrait) by David Griggs. 14. Remembering Titian by Peter Hanley. 15. 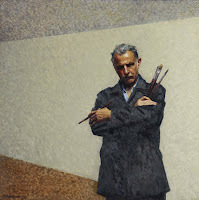 Self-portrait by Robert Hannaford. 16. 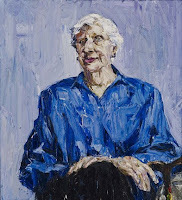 Margaret Whitlam by Nicholas Harding. 17. David Helfgott by Cherry Hood. 18. Flacco's chariot by Paul Jackson. 19. Jasper Knight by Jasper Knight. 20. 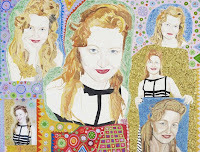 Portrait of Nell by Richard Larter. 21. Marcia Langton by Sam Leach. 22. Heiress by Matthew Lynn. 23. 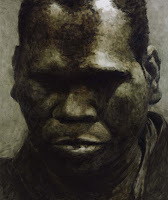 Geoffrey Gurrumul Yunupingu by Guy Maestri. 24. Nell by Abbey McCulloch. 25. Beyond by Angus McDonald. 26. 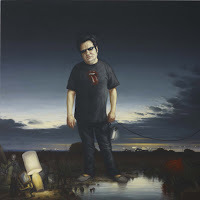 Richard Clapton by Alexander McKenzie. 27. 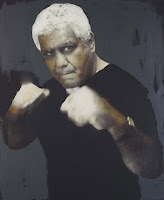 A portrait of Alex Wodak by Nick Mourtzakis. 28. Coupe SX010F by Richard Onn. 29. Michael Nelson Jagamara and Singing Rain Story by David Paulson. 30. 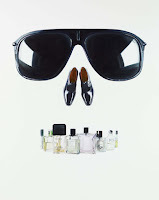 Peter Powditch is a dead man smoking by James Powditch. 31. 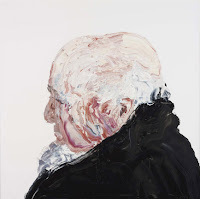 Jimmy Barnes - there but for the grace of God no.2 by Ben Quilty. 32. Waiting for the day by Megan Roodenrys. 33. Mountain of Tom by Paul Ryan. 34. Heidi & Sarah-Jane 'parallel lives' by Jenny Sages. 35. 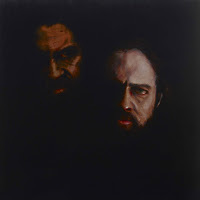 The rest is silence (Brendan Cowell as Hamlet) by Megan Seres. 36. Soffritto di Lucio by Garry Shead & Adrienne Levenson. 37. Greta Scacchi as Queen Elizabeth in Mary Stuart by Mark Thompson. 38. 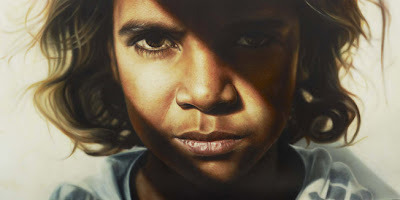 Nancy Kunoth Petyarr by Jan Williamson. 39. Ars longa, vita brevis by Michael Zavros.